washing line could be "L" or "U" shape according clients' workshop. dewaterer → dryer → silo. If the film is very dirty, some clients may add hot washer for this washing line. plastics can be treated step by step by this machine. PE, PP, BOPP, HDPE, LDPE, LLDPE, ABS, EPE, EPS, XPS, Stretch film, Non woven fabric, Woven bags, etc. 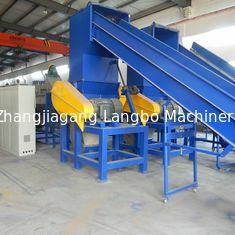 Plastic recycling washing machine is applied in PET waste bottle or sheet recycling field. Through crushing, washing and dry process, the waste bottle or sheet will become to be bottle flakes. The flakes are widely used in plastic industry, like sheet, and profile production. The clean flakes can be used to produce the polyester staple fiber, PET strap band, granules, PET transparent film and sheets, etc. The top class flakes can be used to blow bottles again. 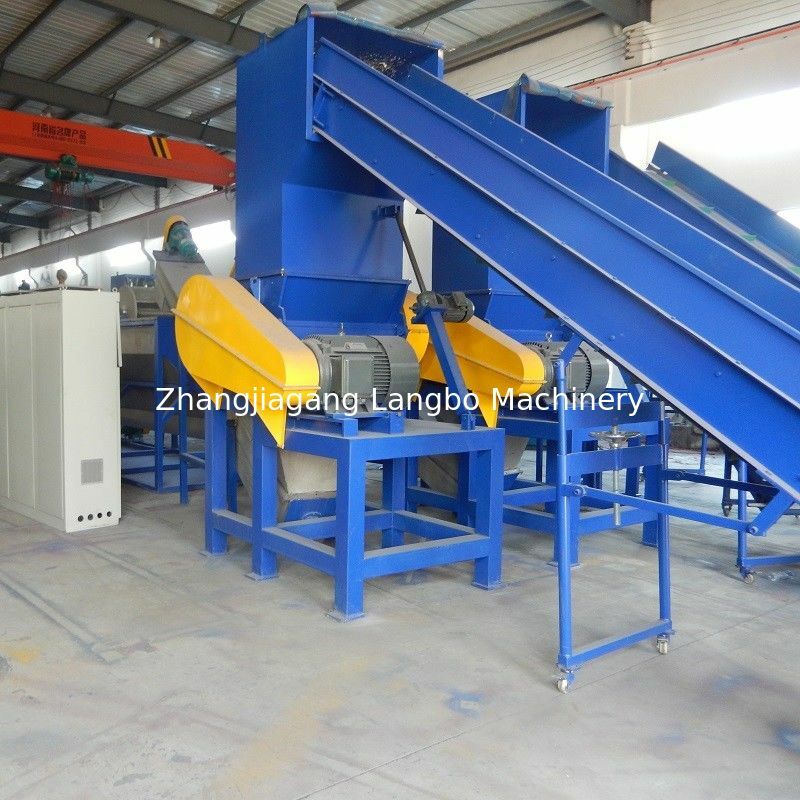 Recycling machine can be designed on the basis of how dirty the flakes are, and make sure of the quality of the final products are very clean. 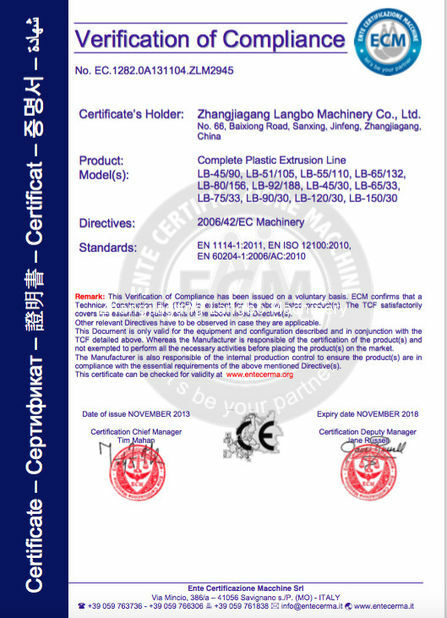 Recycling machine output we can supply is from 100kg/h to 2000kg/h. 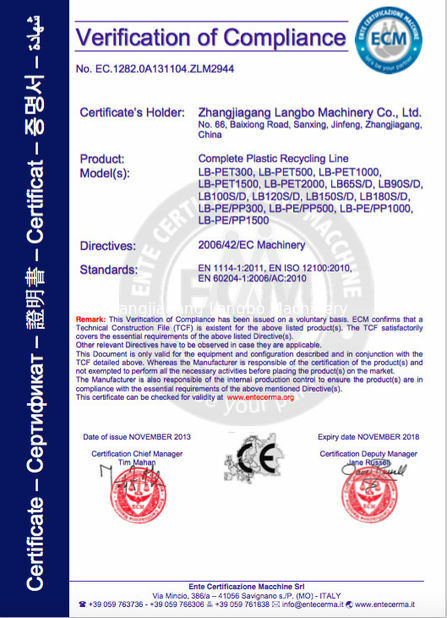 This pet bottle waste plastic recycling machine could be "L" or "U" shape according clients' workshop.